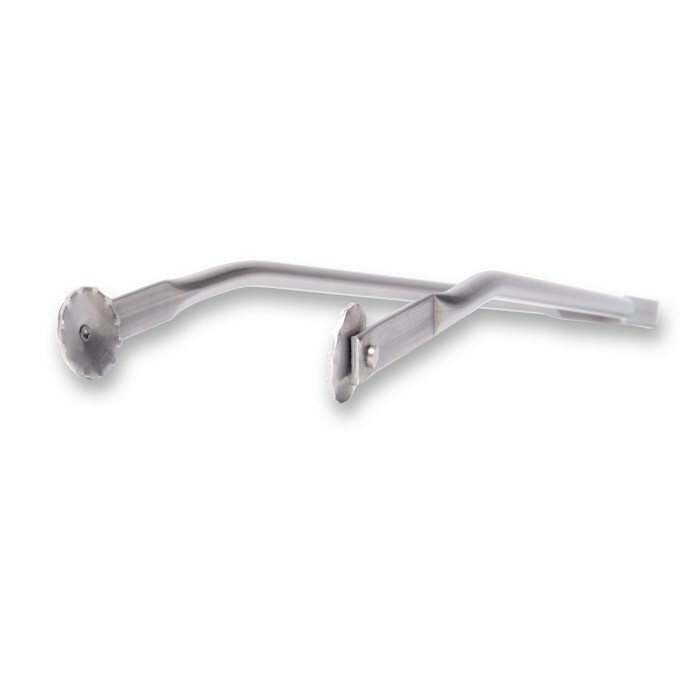 you also want to be able to use your tongs when you are cooking with a frying pan or in the oven in the kitchen. 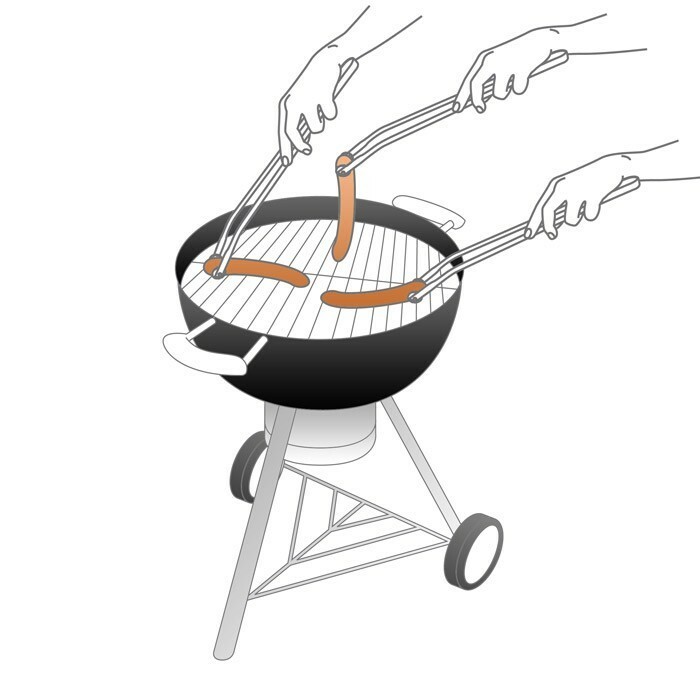 The GrillUp® barbecue tongs combine simplicity and inventiveness: they work like any other standard barbecue tongs if you catch hold of the piece of meat in the middle. 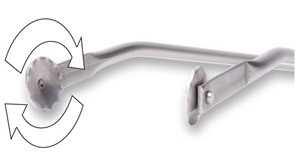 Thanks to two ingenious notched casters, it can turn over brochettes, sausages and other delicious things to grill when you catch hold of their ends! 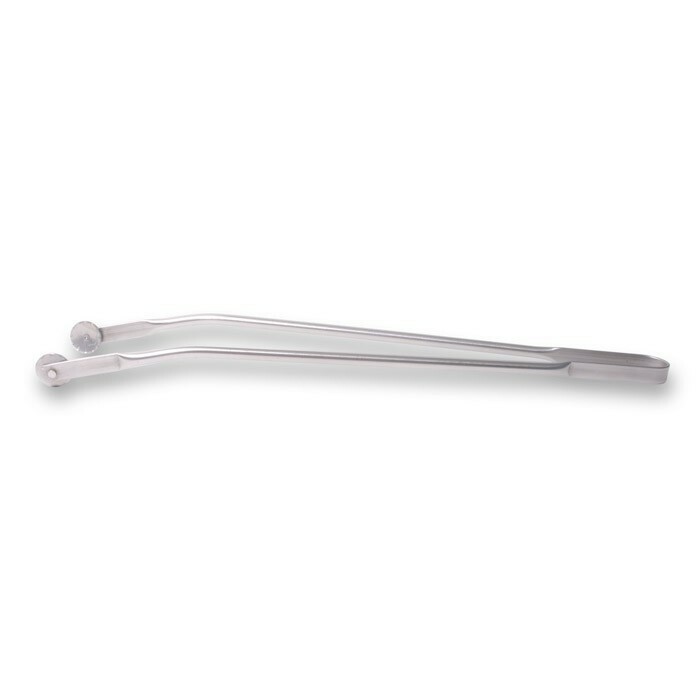 Made of stainless steel, these tongs must not stay in prolonged contact with the heat source, otherwise there is a burning risk: you will therefore not leave your GrillUp tongs on the fire! 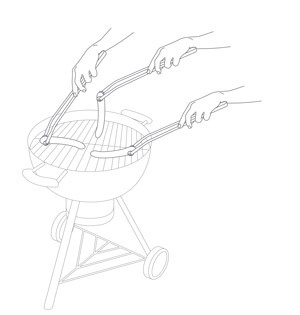 When you grab the sausage in the middle, the GrillUp tongs act like any other barbecue tongs. 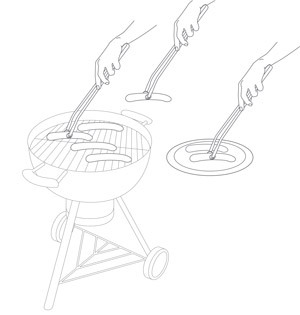 A French creation, the GrillUp® tongs are additional proof that France has admittedly no petrol, but ideas: patented, it brings an original and truly useful functionality (turning over sausages, brochettes, andouillettes, and other "long" things to cook) whilst keeping the simple and original functionality of barbecue tongs that consists in being able to move the food around the grill without burning yourself. useful - which grill cook has never cried out "gosh, these sausages are a pain to turn over" whilst burning himself/herself in the process?